Come on, games industry, how about some breathing room? Square Enix has just announced a release date for that upcoming Adventures of Mana remake, and it's a lot sooner than you might have expected. Clear your schedule, because you'll be playing it this week. It launches February 4 in North America and Europe for both iOS and Android, and also the PS Vita in Japan. Of course we're not seeing a PS Vita release in the west. Of course. 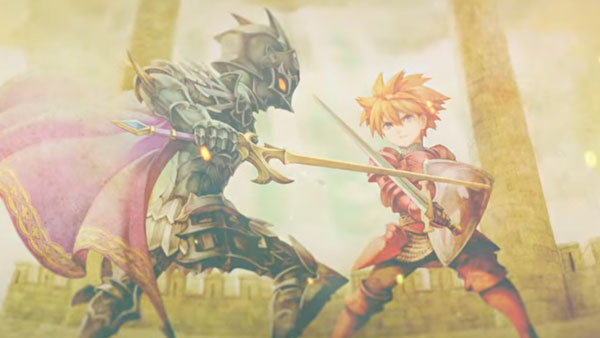 This renamed remake of Final Fantasy Adventure should definitely be on your radar, so if you're still playing through Final Fantasy Explorers you might want to pack it up, pack it in, and let yourself begin winding down before picking up another mobile RPG. I mean, they're fundamentally different in several ways, but you're really going to need some breathing room for all these games coming out at the same time.